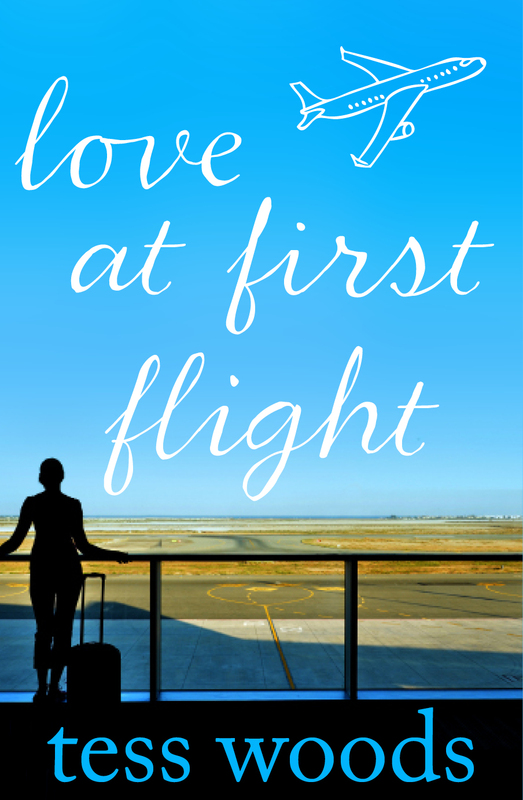 I’m delighted to introduce Tess Woods to you today to celebrate the publication of her debut novel, Love at First Flight. Tess Woods is a health professional who lives in Perth, Australia with one husband, two children, one dog and one cat who rules over all of them. When she isn’t working or being a personal assistant to her kids, Tess enjoys reading and all kinds of grannyish pleasures like knitting, baking, drinking tea, watching Downton Abbey and tending to the veggie patch. My road to publication was long with speed humps and detours! I wrote the first draft in three days. I had a flash of inspiration, grabbed pen and paper, locked myself away and pumped out a novel. As I wrote, I imagined publishers tripping over themselves to get their hands on it. I pictured bidding wars and movie rights. Then I read over it. It was drivel. It took me a month of writing every evening to get to draft two. It was still drivel. I called in back-up. I sent the manuscript to an assessment agency. The editor reported back after six weeks saying it was drivel. I already knew that! What I wanted was some help to point me in the right direction. So I tried a different manuscript assessor. This time I struck gold. Meredith Whitford from Between Us was clever, insightful and she cut to the chase. Along with her comments, Meredith had a forty point list of things to work on. I spent six months writing draft three and re-submitted it. “Getting there but not quite,” was her response so I spent the next six months working on draft four. Then I had Meredith’s tick of approval. But what if she liked it and nobody else did? I decided to get a third opinion and sent the manuscript to Nikki Davies. She came up with four pages of suggestions. Three months later I had draft five and three months after that I had draft six. I felt ready to take on the literary world. Again I imagined bidding wars and movie deals. Over the next two years I was rejected by all twenty-two literary agents in Australia who represented commercial fiction writers. Every last one of them. Some of them wrote ‘return to sender’ on the envelope without opening it, some read it and hated it, several of them read it and said they loved it but it would be impossible to find a publisher because I had no resume to speak of. After opening the front door to find my manuscript sitting on the porch from the last remaining agent, I slid it under the spare bed, dusted myself off and forgot I had written a book. The submission process to agents had been exhausting and soul destroying. I couldn’t face beginning again with publishers. I figured I had no chance with publishers anyway if none of the agents wanted it. I was done. Then along came an email. It was from literary agent Jacinta Di Mase. Jacinta had considered Love at First Flight nearly two years earlier before deciding she didn’t want it. In her rejection letter, she’d said how hard it was to reject it because it was one of the best unsolicited works she’d seen. I was particularly devastated when Jacinta had initially turned it down, because I was convinced she would take it. It was just a strong gut feeling I had that she would be my agent. Always trust your gut! Excuse me, what? YES I would be prepared to make changes! I was prepared to sell her my next child if it meant she would go in to bat for me! So I wrote draft seven. A year later, I resubmitted it to Jacinta. I hit send on the email and the next day headed off to Europe for the trip of a life-time with hubby and kids in tow and tried to put it out of my mind. If Jacinta wanted it, great, if not, I would self-publish it one day and sign the inside cover for my mum. Fast forward eight months of nail-biting, finger crossing, acquisitions meetings after acquisitions meetings where it was rejected at the last minute, editors loving it and emailing us about just how much they loved it but then failing to convince the rest of their teams to love it. It was torture. And then along came an editor who was passionate enough to stand by the story until it had full approval from everyone in her publishing team. And that was Anna Valdinger at HarperCollins. Oh how I love her! Once I signed with HarperCollins, there were two more huge edits to do. But nine re-writes and almost six years from the day I first put pen to paper, I got there. I had never written any fiction before this book. In fact I’d never planned on writing a book at all. But when this story came to me, I had to write it and keep writing it until others believed in it too. I’m so lucky that they did. Wow Tess, what an amazing, heartbreaking, frustrating journey! Just goes to show that trusting your instincts pays off! They say being published is as much about perseverance as it is about talent and after reading your journey to publication you must have both in spades! Congratulations, looking forward to LAFF! What a persistent author! What an achievement! Congratulations, Tess. I’m looking forward to reading your book. Wow. That’s what a dream, a lot of hard work and dedication can do! What a journey – well worth reading about. Thanks for posting this honey! Thanks Annette, it was indeed a big journey! Wow, that road to publication could be another book to write Tess. No one realises how hard it is for an unknown author to get some form of recognition. God bless Jacinta de Mase for not giving up but especially you for rewriting and rewriting so many times!!! Well done can’t wait for a paperback to add to my collection of fav authors. Keep writing. Wow! I didn’t realise how long and difficult your journey to publication was. I’m so glad you kept going, I loved it! That’s a story that gives lovely heart to all authors seeking agent representation. I’m sure that it’s harder to find an agent than it is to find a publisher (speaking personally). Well done on all the rewrites too, Tess. Thanks Lily :). I hope you do find the right agent, Jacinta is worth her weight in solid gold!